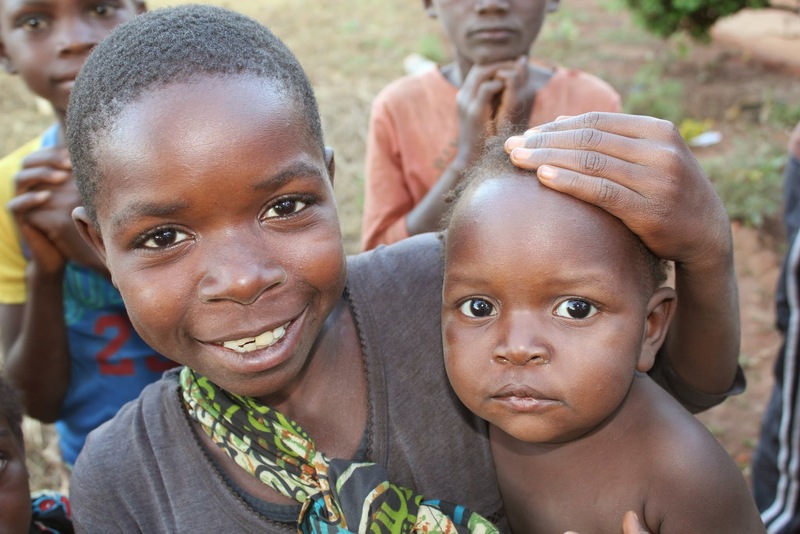 Ruth’s Shawl began with a ‘chance’ meeting of two people – a Malawian Pastor and an American woman – in Malawi. The widows and orphans, severely affected by the famine and AIDS pandemic, were bereft of the basic human needs of food and shelter. The American woman shared the story with the others back home and they, moved with compassion, began to pray and give. Prayer for the widows and orphans motivated another group of women to seek God on how to share the hope of Jesus in practical and tangible ways. As they prayed, they saw God’s leading to form a non-profit corporation named Ruth’s Shawl. Step-by-step the LORD guided the process to establish Ruth’s Shawl, a non-profit corporation, for the work He was calling them to do in ministering to widows and orphans worldwide. In December 2006 Ruth’s shawl was incorporated and in August 2007 a team was dispatched to Lilongwe, Malawi to see the needs firsthand. As we have responded to the vision revealed by God, His heart for the widows became clear. The widows were very strong in their opinions and in their desires to support themselves and each other. Strongest was their wish that they be educated – to have the ability to read and write. Within three months, the widows were being schooled by one of their own – a teacher in their midst. A literacy program was born! 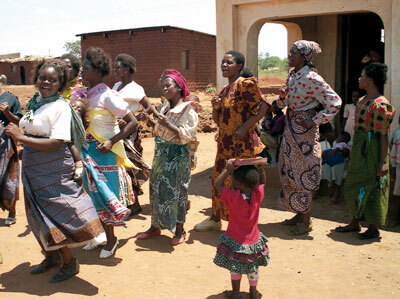 In 2007 prayers were prayed to establish a Ruth’s Shawl Program Manager in Lilongwe to advocate for the widows. In February 2009 those prayers came to fruition when a board member relocated to Lilongwe with her husband to establish Ruth’s Shawl as an NGO in Malawi. In the intervening years the widows continued to meet on their own in an endeavor to continue their dreams of becoming literate. Truly these women are Romans 5:2-5 women: “… and we exult in hope of the glory of God. And not only this, but we also exult in our tribulations, knowing that tribulation brings about perseverance; and perseverance, proven character; and proven character, hope; and hope does not disappoint, because the love of God has been poured out within our hearts through the Holy Spirit who was given to us.” Even though the history of Ruth’s Shawl is short, it is packed with the Sovereignty of God and His inexorable focus on these widows – whom He loves and into whom He has poured out His Grace. Though Ruth’s Shawl started with a vision to care for the widows and orphans, God opened our eyes (and the necessary doors) to see that to bring hope to the widows and orphans meant to bring the Hope of Salvation to every member of the community. The growth of Ruth’s Shawl is truly a testimony of the Eternal Redemption and Inheritance of the widow Ruth through her entrance into the House of Bread and into the lineage of Jesus Christ. Therefore, it is from the Provision of the Lord for Ruth the whole world throughout all generations receives Salvation. The name “Ruth’s Shawl” came from a 2005 Bible study in the Book of Ruth during the many prayer meetings for the widows and orphans of Malawi during a terrible famine. As we read Chapter 3:15, “Also he (Boaz) said, ‘bring the shawl that is on you and hold it.’ And when she (Ruth) held it, he measured six ephahs of barley and laid it on her. Then she went into the city.” This picture of holding her shawl and it being filled with much more barley than she could ever glean at one time (the Bible tells us in Ruth 2:17 that she gathered one ephah in a full day) was a clear indication of God’s grace being poured into the only thing that she held in her possession …. Ruth’s Shawl. Many in the prayer group immediately recognized the shawl as the point of faith between the need of Ruth and the provision of Boaz … we became very aware that we were being called to be “Ruth’s Shawl” as God would be faithful to fill that shawl and we would have the honor of distributing His provision. Since 2005, God has never failed filling that shawl and has expanded the ministry to whole villages and beyond!